JoJo Bizarre Adventure’s Part 4 manga release date revealed! Oh my gosh, we finally get the release date for the fourth act of JoJo’s Bizarre Adventures in manga format! Just announced today, the English manga company Shonen Jump just revealed the release date for the fourth part of JoJo’s Bizarre Adventures. JoJo’s Bizarre Adventure Part 4: Diamond is Unbreakable manga will be releasing this year in May. Amazon lists the manga on May 7th. Diamond is Unbreakable is currently on Toonami on Saturdays at Adult Swim with English Dub. The protagonist, or new JoJo character, is Josuke Higashikata who is the illegitimate son of Joseph Joestar. Taking place after the events of Part 3: Stardust Crusaders, Jotaro visits the town of Morioh and finds out that Josuke has a Stand. Together, they are trying to find out who is giving people Stands. 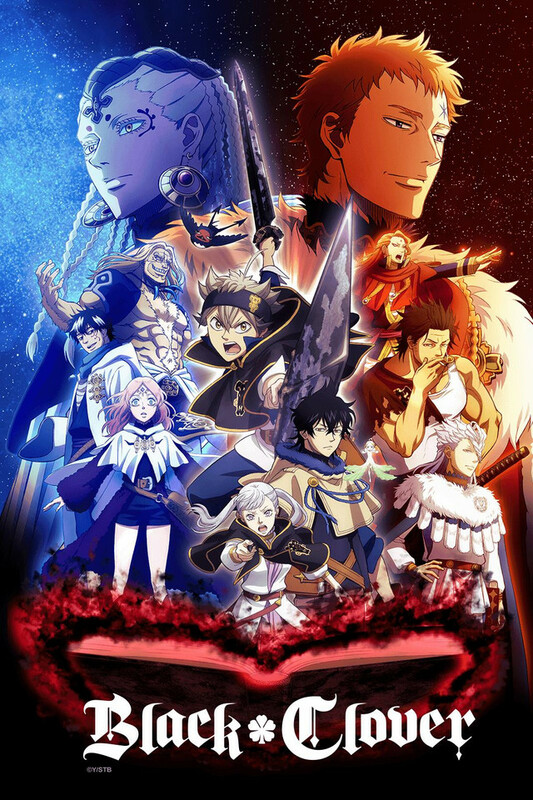 Anime news: Black Clover extends episodes! Crunchyroll streams JoJo Part 5! Shonen Jump fans! I got great news in the anime world! According to Crunchyroll and ANN, we are going to be getting some interesting anime treats this upcoming fall and the rest of 2018! At a panel during CRX 2018, it’s bee n announced that the anime Black Clover will be extending more episodes and will be entering a new season. It was initially planned to have only 51 episodes, but based on popular demand, the anime will go on even further into the manga. The new season begins this upcoming October. Another good news involves the upcoming anime JoJo’s Bizarre Adventures Part 5: Golden Wind. It’s been announced at the same panel that Crunchyroll will be able to stream the new anime this fall. If you think pumpkin spice lattes are sweet, then you better sit back and enjoy some sweet, action anime. It has come to my attention that there is bad news in the anime community. An anime voice actor named Unsho Ishizuka passed away this Monday due to esophageal cancer. According to ANN, he was modern age 67, but in traditional Japanese age he is 68. Aoni Production, an agency that represents Japanese voice actors and entertainers, stated that Ishizuka was given medical treatment before his passing, but it all became ineffective. 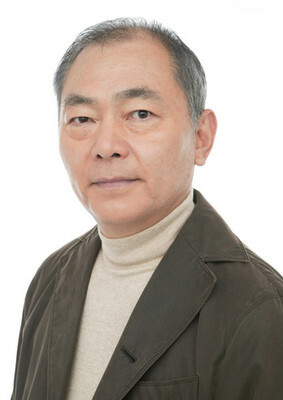 If you don’t know who he is well-known for, he did the Japanese voice dub for well-known characters in anime such as Joseph Joestar in JoJo’s Bizarre Adventures: Stardust Crusaders and Diamond is Unbreakable, Hercule in Dragon Ball Z and Super, Professor Oak in Pokemon and even the iconic fighter Heihachi in the Tekken video game series. 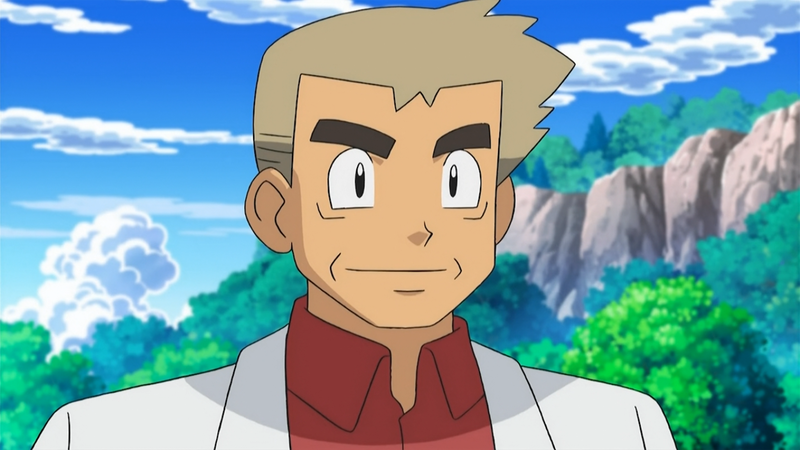 In recent news of ANN, Tokyo TV recently announced that there are some recorded audio compiled and ready for future Pokemon Sun and Moon episodes with Unsho Ishizuka already in it. These recorded episodes with him will be premiered on Japanese public TVs until late October. These are the last recorded audio of him. Diamond and Gold news: Viz acquires the licence to JoJo part 4 and 5 anime and movie! Oh my gosh! I got some JoJo news you all need to hear! Revealed at Crunchyroll, Viz, at Anime Expo, revealed some awesome news for JoJo fans. Viz announced that they have the license to Part 5 of JoJo’s Bizarre Adventures: Golden Wind. Besides the new anime, Viz also announced that they also got the rights to sell and publish the manga of Diamond is Unbreakable (Part 4). 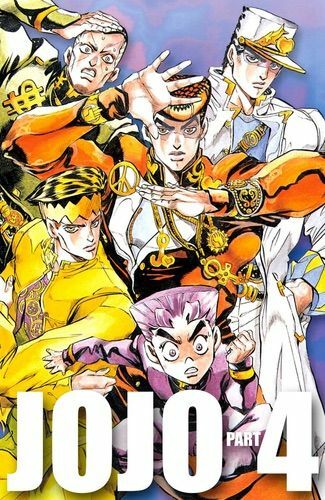 If you love JoJo and want the manga of Part 4 in your collection with the other parts, get ready to save up for more books. Speaking of Part 4, Viz also got the rights to sell the live-action movie of Diamond is Unbreakable! Last but never least, JoJo Part 4 will be joining Toonami! The voice of Josuke Higashikata (the protagonist of Part 4) will be done by Billy Kametz who is known for being in anime like Sword Gai: The Animation, Fate/Extra Last Encore and B: The Beginning. JoJo’s Bizarred Adventures: Diamond is Unbreakable will be joining Toonami on August 18th. Oh my gosh! We’re getting JoJo Part 5 anime! Good news JoJo fans, Hirohiko Araki’s insanely popular series JoJo’s Bizarre Adventure is getting another anime adaptation. Revealed today by the creator, Part 5 of JoJo is getting an anime adaptation. 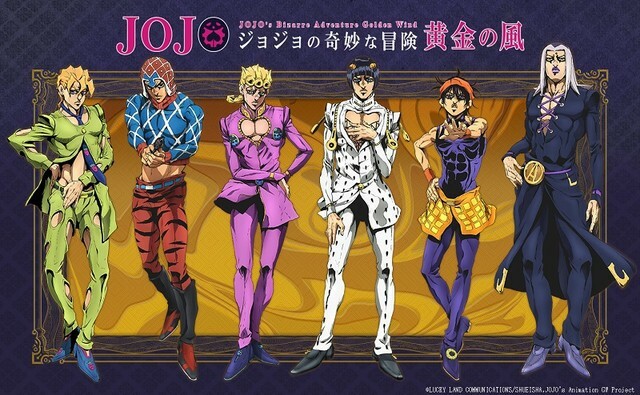 The manga titled of this in Japan is called Vento Aureo while the anime is going to be titled Golden Wind. According to the English license company Viz, fans can get inside news on this new anime in this upcoming Anime Expo in July 6th. According to ANN, Part 5 takes place after the events of Part 4 (Diamond is Unbreakable) where Jotaro and Koichi goes to Naples in search of a person named Haruno Shiobana. Haruno Shiobana is actually Giorno Giovanna. Giorno goal is to rise up to the most powerful mafia called the Passione. Giorno is also the offspring of Dio Brando (an antagonist of the Joestar family), but he also carries the blood of the Joestar. 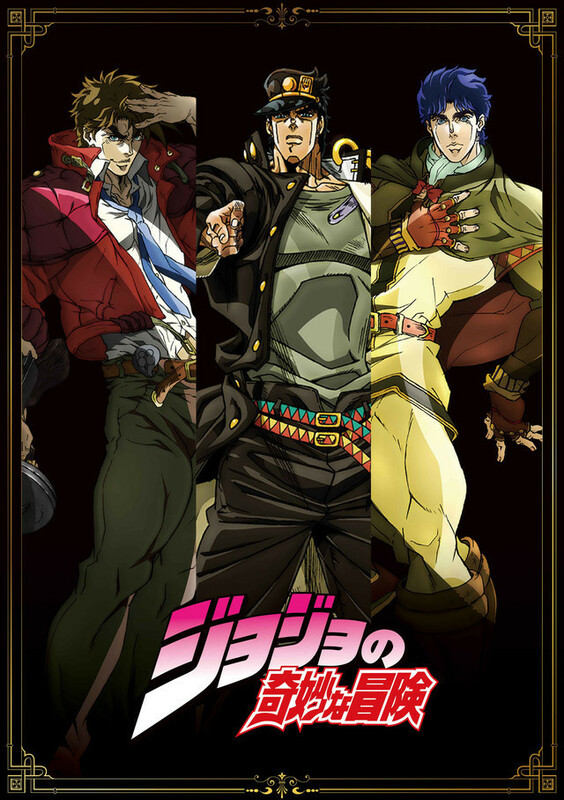 Published by Bandai Namco of Entertainment and developed by CyberConnect2 (they also worked on the Naruto Ultimate Ninja Storm series), we get another JoJo Bizarre Adventure video game and unlike the previous game on the PS3 JoJo’s Bizarre Adventures: All-Star Battles, this game will not have players buy any DLCs. I got this game from a flash sale with a price of $15; the retail price is about $60. In the PSN store, this game title has the world bundle. That is because in the North America version, this digital game includes the game itself and all the DLC such as additional missions and Jotaro Kujo Part 4 version. In this review, this will contain spoiler but only minor. The spoilers will occur in the story and I will do my best to not give away too much details. Toonami News – JoJo Part 3 and IBO joins Toonami! Not just one but two new anime are joining Toonami but these are very familiar if you seen them from the first season! In July 29th, the anime JoJo Bizarre Adventure returns but it will be part 3 “Stardust Crusaders” joining the line up. 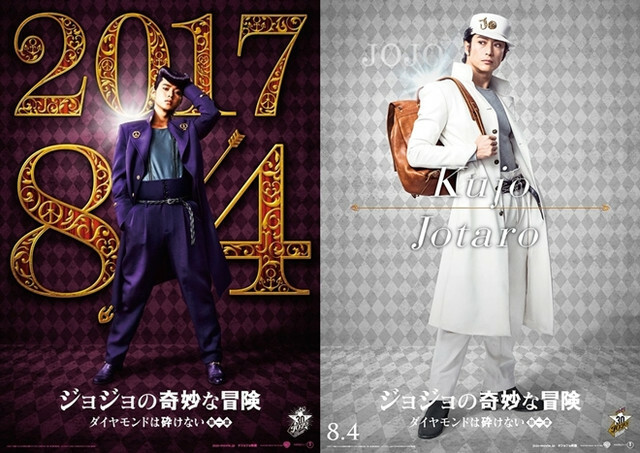 The main character will be the 17-year old Jotaro Kujo along with the returning “JoJo” Joseph Joestar and they must fight an old enemy from the same ancestor, the vampire Dio Brando. 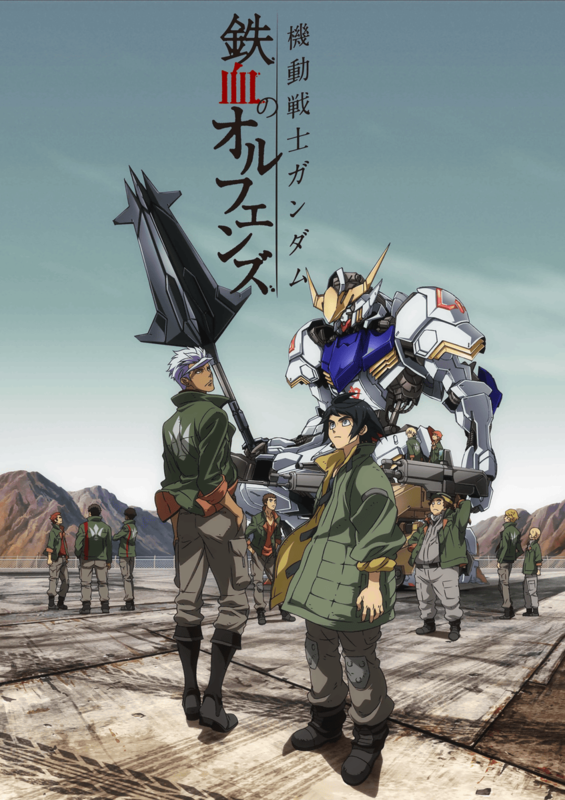 In October, the anime series Mobile Suit Gundam: Iron-Blooded Orphans returns but with an English Dub of Season 2. The anime will be back in Toonami with JoJo Bizarre Adventures: Stardust Crusaders. In addition to IBO joining Toonami, the anime company FUNimation confirmed at AX that they officially licensed the anime Iron-Blooded Orphans for both and they will release both sets later this year.